How Much Does It Cost to Travel To Iran? Are you planning to travel to Iran? You may be wondering how much money you need to travel to Iran. For sure, you are aware of the currency condition in Iran and that using credit cards are not possible for Iran visitors, because Iran is not a member of the international bank system and you will be surprised by the prices in Iran. But don’t worry. For you, as a foreign visitor, Iran is the cheapest country in the world. You can find the cheapest accommodation, the cheapest high quality food and the cheapest transportation in Iran. Keep in mind that being cheap does not mean having low quality. Of course you have to beware what to choose and where to use the services. 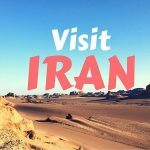 This article, written by Iran Destination, Iran Tour and Travel Agency, is all about Travel expenses in Iran. So read it carefully before your trip to Iran. First of all, you should bear in mind that Iran has actually two currencies. The official currency in Iran is Rial (IRR) and the everyday currency which everyone uses is called Toman. One Toman is 10 Rilas. So keep it in mind and pay attention to the prices given to you in different places. To read more on Iran currency, read here. How much does accommodation cost in Iran? Accommodation prices in Iran vary in different cities. The most expensive hotels can be found in Tehran, capital of Iran. Just as a sample, I mention the price for a three-star random hotel in Tehran. It ranges from 60 $ to 150 $ (4,500,000 Rials to 12,000,000 Rilas). In cities other than the capital, you can find cheaper hotels or accommodation. For example in Shiraz, which is one of the main cities in Iran, the average hotels may cost from 30 dollars to 90 dollars (2,200,000 Rilas to 6,660,000 Rilas). If you choose traditional accommodation, it will be still cheaper for you. But the amazing point is that the quality of services is high enough and the price is really worth. Niayesh hotel, which is a traditional hotel in Shiraz costs about 20 dollar (1,700,000 Rilas) per person. The ecotourism residences, such as Parhami Traditional house, are getting so popular because of their unique atmosphere and the cheap prices they offer. How much does transportation cost in Iran? Well the options you have for moving from one city to another are domestinc flights, buses, trains, and private taxis. The most usual way to travel in Iran for tourists is travel by bus. There are two kinds of buses in Iran: first, Normal buses and second, VIP buses. The second is likely a better choice because of its more comfortable suits. Just as an example, the route Tehran–Shiraz, which is about 1000 kilometers, costs 10 dollars (800,000 Rials). Domestic flights are obviously more expensive. A flight from Tehran to Shiraz costs about 40 dollars (3,000,000 Rials). 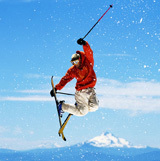 During the holidays or high season which gets crowded, the tickets will be more expensive. Regarding the trains, they are for sure the safest means for transportation, but not very common in Iran. However, you can simply use a train to travel to any city in Iran and the train prices in Iran are really low. The train ticket for the route “Tehran to Shiraz” is about 15 dollars (1,150,000 Rials). The truth is that it’s relatively cheap to get around in the cities of Iran. the transportation prices in Iran are low. In the capital, Tehran, you can simply use Metro, the underground city, to move from places to places. Buses are also cheap options, but you may get stuck in traffic if you use buses or taxis. Metro passes are available at Metro stations, bust stations and newsstands. BRT buses are also good choices. These buses run on a special line on the main streets and subways, this is why they can move faster than cars. But don’t be surprised by the crowed you will encounter in the public transportation. If you like to take a taxi, you may hear the word “Darbast”. This means you will be the only passenger in taxi and the driver takes you to your destination directly. So this is a Private taxi. In other cases you can take shared taxis, with other passengers as well, which will cost cheaper for sure.in case you want a shared one, make sure you clearly tell the driver that you don’t want it Darbast! Depending on the route, the fare for a shared taxi is from 0.25 $ to 0.5 $ (2000 Rials to 4000 Rials ). There are also some application-based transportation companies such as Snaap and Tapsi, now available in most of Iran cities. You can get an Iranian SIM Card (you can buy it at the airport or anywhere in the city- the cheapest one is about 1$ for IRANCELL type) and then use the internet for getting a Tapsi or Snapp in Iran. The price will be assigned on the app based on your destination and route. It can cost about 5 $ to 7 $ to eat a proper Iranian meal in Iran (250000 Rials to 350000 Rials). If you wish to have a meal in a luxury restaurant, it will for sure cost much more: up to 40$ to 50$. The most common food in Persian restaurants is Chelo-Kebab and also different types of Kebab.But there are lots of other options as Persian foods to taste. You will most probably be invited by Iranian people to have a meal in their home. This way, you can eat more familiar with Iranian culture and Persian food. If you are a vegetarian, you can find foods without animal protein in just some restaurants. Particularly, if you go to the restaurants in the north of Iran, you will find different vegetarian foods. Of course, almost all restaurants in Iran have salads beside their dishes. In case you are into fast foods, you’ll have different great options in Iran, although you cannot find McDonal’s or Burger King in Iran. An average Pizza in Iran may cost 4$ to 8$ (200000 Rials to 400000 Rials). Entrance fees to most of sites and museums is really so cheap. It will cost about 4$ to 5$. 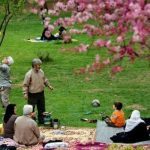 Having read this article on prices in Iran, you will be more aware of the conditions in Iran and you will travel to Iran with peace of mind. Iran Destination group, which is a well-known Iran tour and travel agency, offers any Iran travel services as you wish, including Iran tour, Iran visa, etc. in case you like to take Iran Package Tours, pay a visit at our Iran Tour page. You can also customize a tour at Iran tailor made tour.